Sharon Skok﻿ is a California state Licensed Acupuncturist and National Diplomate of Oriental Medicine (NCCAOM). She graduated with honors from Yo San University of Traditional Chinese Medicine in Los Angeles where she received her Masters in Traditional Chinese Medicine in 2005. In private practice in West Hollywood since 2005, Sharon's boutique office offers individual and focused care. She has also worked with several integrative practices in Los Angeles in the arena of cancer care and addiction rehab - mental health services. In addition to her private practice, Sharon is currently the staff acupuncturist at The Control Center, an out-patient addiction and mental health center located in Beverly Hills. Post-gradutate studies have included women's health and fertility enhancement, orthopedics, mental health/wellness, auriculotherapy, and acupuncture face rejuvenation. Sharon has professionally assisted renowned Mary Elizabeth Wakefield at many of her specialized acupuncture face rejuvenation seminars when held in Los Angeles and has an Advanced Certification in Constitutional Acupuncture Facial Renewal since 2005. Sharon was also featured on NBC network's Extras Life Changers program in 2009 demonstrating the acupuncture face rejuvenation practice and it's many benefits. Sharon received her Bachelor of Arts from the University of California, San Diego with a major in Communication and a minor in Health Care/Social Issues. She has dedicated her adult life to studying health, wellness, and nutrition. Sharon understands that good health and well being comes from a variety of factors that join together to create balance and vitality in the body. 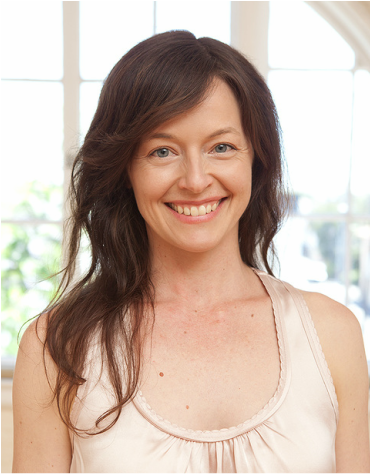 Sharon has also been teaching yoga in Los Angeles since 2002 after completing her hatha yoga teacher training at City Yoga in West Hollywood (now Yogaworks West Hollywood) in 2001. She continues to teach and practice knowing that her regular yoga practice brings balance, grounding, and spirit into her life, and enjoys sharing what she has learned through teaching regular restorative yoga classes.